We have gathered some helpful guidelines you can use when selecting good topics for astronomy essays. First, let us ask ourselves what astronomy is. Astronomy involves the study of celestial objects like stars, comets, and phenomena that originate from outside the earth’s atmosphere. This text is meant to guide you through the process of topic selection and highlights sample essay topics you can consider. Are You Familiar with How to Select the Best Astronomy Essay Topic? Take into account the knowledge you have on the subject matter or idea before deriving a topic from it. Doing so helps to avoid problems such as getting stuck during the writing process. A topic should be crafted from an area you are conversant with. Make sure that a topic is equal to your level of understanding on the subject. Avoid complex topics that can make you stuck. Similarly, avoid too simple topics as it will reflect poorly on your creativity and effort. Selecting a topic that is fueled by your curiosity and some excitement eases your essay writing as you constantly become self-motivated. Kepler’s Laws of Planetary Motion and their relation to the motions of objects in space. The phenomenon of seasons that vary across different latitudes (with the help of valid examples). The nature of the sun and its relationship to the earth. Wien’s Law and its importance to astronomers. Zero gravity and its effects on humans. History of space exploration up to the first Mars landing. Similarities and differences of Venus and Earth and factors that contribute to the differences. The different classes of planets and the basis on which they are classified. How stars are formed from clouds of gas and why low- mass stars form slower than massive stars. Exoplanets, their discovery, and comparison to planets in our solar system. The motion of the stars in different parts of the sky as seen from different latitudes on our planet. The mass, density, diameter and surface gravity of all the planets in our solar system. Planet melting and other events that occurred in the early history of our solar system. The death of a star and what remains when stars die. The evolution of the sun and the effect it will have on our planet. The apparent motion of the sun as viewed from the earth in a single day and the course of a whole year. The different seasons and why Australians celebrate Christmas in summer. The major assumptions made about star clusters and the applications they have in astronomy. The theories supporting and negating the possibility of time-travel. The major constellations and their human interpretation over the years. The planet Mars in detail and why or why not its surface can support life and liquid water. Comets and asteroids, their similarities, differences and which of the two presents a greater threat to Earth. The latest supported version of the big bang theory and its effects on the future of the universe. Light pollution, its causes, and effects on astronomy. The major controversies in astrophysics about how they affect our understanding of the universe. The northern lights and the cause of this natural display. Are there close dead stars and can they be seen? How long is the lifespan of stars? Will humans ever experience and master time travel? Should Pluto be restored the title of “planet”? How fast is the expansion of the universe take place? Can the sun become a black hole if or when it dies? In case you require further help in writing that astronomy essay, we can help. 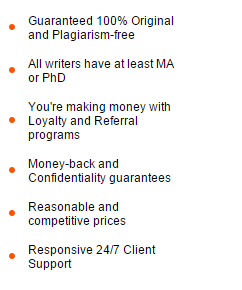 We provide professional essay writing services at affordable rates. Contact us today and get a high-quality custom essay.